When I have received this great package from Alpro I didn’t have the time to try out this new milk. 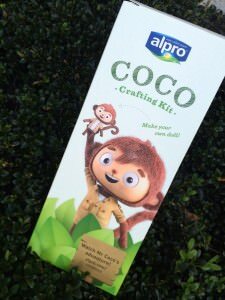 Alpro Coconut Original was delivered together with a kit to assemble your own Mr Coco. 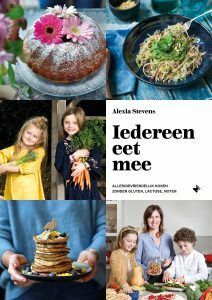 The children just loved it! In the mean time I have used Alpro Coconut Original a lot: in pancakes, in waffles, for oatmeal and with granola. The Coconut Original is also very nice to use instead of the ‘real’ more fat coconut milk if you make smoothies. 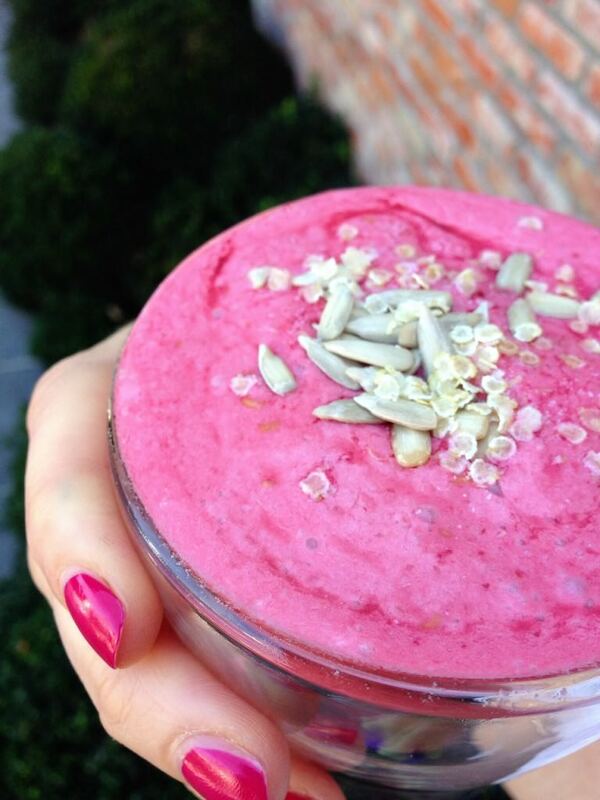 I have finished this smoothie with some quinoa flakes and sunflower seeds for some extra crunch. 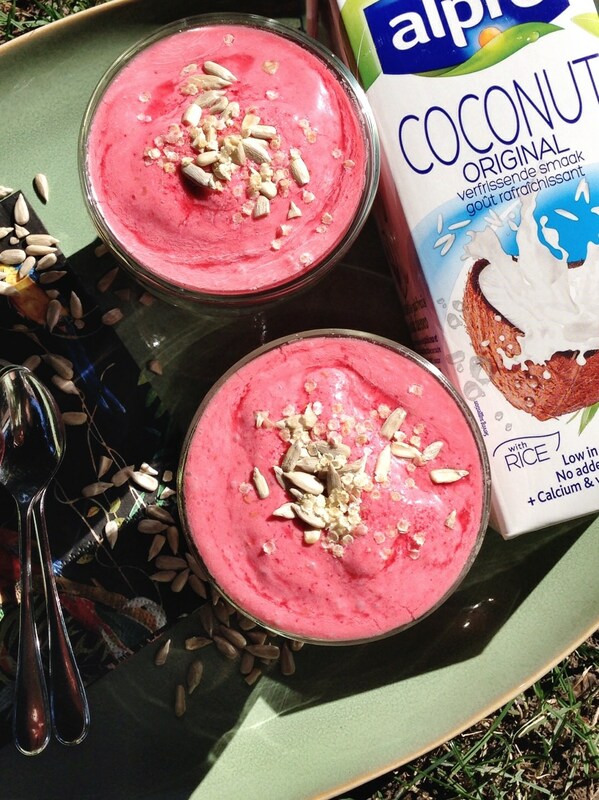 Mix the raspberries and the Alpro Coconut Original and blend at high speed. Finish off with the quinoa flakes and sunflower seeds.